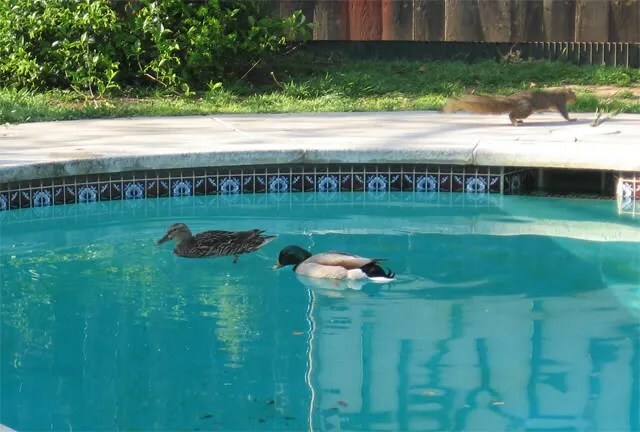 Was up at 7 am and found a pair of Mallard ducks swimming around in our pool. Nice sight first thing. We have never seen this before in our pool. I fed them and they took off later on. I figure they had been flying long range for awhile, got tired and spotted water to rest. The Squirrel has been with us for years now.